CPN | What can parents handle? The truth (delivered with care). Every family is different and it is important not to over generalize. I know that. But I also know what I have learned from my own lived experience and what other parents of seriously ill children have told me personally as they recount their stories. The vast majority of parents* want honest conversations with their child’s medical team about prognosis, including if there is a shift in prognosis over time. And research bears this out. More on the research in a moment. *There are, of course, exceptions—parents who explicitly cue the medical team that they do Not Want to Know or Discuss. They may have cultural or private reasons for this, which need to be respected. When palliative care is brought in early and a trusting relationship is developed, it is possible these wishes will shift. Also, while obvious, it bears noting: there is a difference between creating a safe space in the context of a trusting relationship to talk truthfully about things and imposing the truth like a bludgeon to an unsuspecting person. One of Jack Nicholson’s most famous movie lines is from A Few Good Men: “You can’t handle the truth,” he yells from the military court room’s witness box in response to the Tom Cruise character’s prosecutorial question and as justification for his position that he did the right thing, which was, in actual fact, the wrong thing. Stories I have heard from parents, comments I have personally heard from some pediatric providers, and the research indicate that too many providers believe this is also true of parents of seriously ill children whose prognosis is, simply put, not good, very bad, sometimes terminal. A few years ago I was speaking to a roomful of community-based nurses and social workers who saw seriously ill children in their homes. I emphasized what I perceived to be their professional duty to prompt and encourage the difficult but important work of advance care planning – helping the families articulate their care goals and what they want for their child if and as their child’s situation declined and was approaching end of life. A social worker stood up and countered, “We don’t do that because that would upset the parents and it is wrong to upset them.” Alarmed, I pushed back. 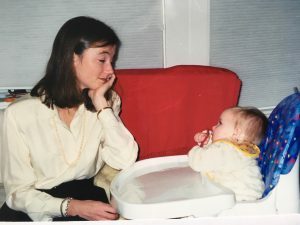 I countered that no family wants to have the conversation – who wants to talk about the possibility their child could die? But it is the rare rare parent that doesn’t worry about it constantly and feel relief when the talking finally begins. Providers aren’t doing these families any favors by not addressing it. Their job is to find a way to help them prepare for and navigate a very difficult situation with open eyes and an open heart. Being open about prognosis and what may well lie ahead is part of that. Recently, a mother of a child with a brain tumor told me that her son’s doctors never told her he was dying until it was the very very very very end. They talked about how the tumor was uncurable but they never prepared her for what that would eventually mean and the decisions that would accompany it. The physicians never lied. They just didn’t address what was truly happening. The shock and pain of her son’s end of life have left a scar that goes beyond that of parental grief. It is the grief of being run over and abandoned. These two exchanges fuel me every day. They speak to the misconception that to have honest and open conversations with parents runs the risk of taking away the family’s hope and devastating them. (We will delve further into this squishy changeling that is HOPE another time.) This is simply not the case. It is not one or the other. Parents can hold more than one possibility at the same time: We are pretty sophisticated and smart. We can hope for the best, while still preparing for the worst. If you are a parent reading this, we hope you and your child’s medical team are engaged in an open conversation about what may lie ahead. In some instances, this may mean the doctors share with you that they aren’t sure what is going to happen but here are some things they are and worried about and watching for. If you aren’t having those conversations, we encourage you to ask for them and to give the team permission to speak carefully but honestly with you. And if you are a pediatric provider reading this, believe me when I tell you that parents can handle such a conversation. And if you need help going there, consult a palliative care specialist. This is one of their gifts.